Help HIF reach our $25,000 goal to accomplish more renovation projects in 2019! Thank you for considering a gift today or on Giving Tuesday 11.27.18 as any gift is hugely appreciated and will make a positive impact on the low to very low income clients served through our renovations at local agencies and shelters in San Mateo and Santa Clara Counties! HIF, in collaboration with our Corporate Champions, works with non-profit housing providers in our community to help them provide quality housing and safe environments for their residents. 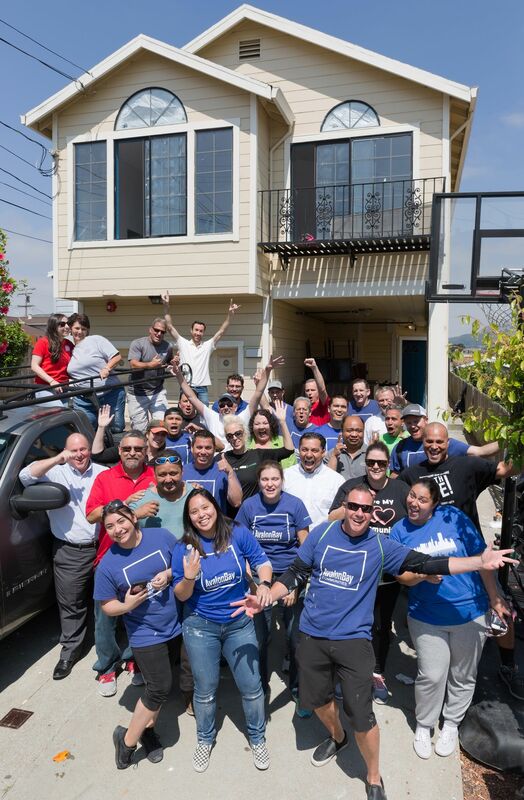 Drawing upon the expertise and resources within the multifamily industry, HIF completes small and large-scale renovations at zero charge to the non-profit housing facility, allowing these organizations to focus their budgets on their mission and programs. Thanks to in-kind donations of material and labor from our supporters and Board members, HIF is able to complete these renovations and improvements at significantly reduced costs. Basically, we can do more for less. Through our rehabilitation projects, HIF has helped facilities for homeless veterans, women in recovery, victims of domestic violence, seniors, single adults and families. Are you a non-profit housing facility that could benefit from an HIF Renovation? Check out the Renovation Application here! HIF is able to provide these no-cost renovations thanks, in part, to our “Corporate Champion” program, which creates unique opportunities for corporate volunteer teams of 25 people to engage in improving the quality of life of local individuals and families. Learn more about what you can do to become HIF’s next Corporate Champion here! Housing Industry Foundation has partnered with Give Lively to securely process your online donation. This transaction will appear on your credit card statement as "Housing Industry Foundation". This transaction is subject to Give Lively's Terms and Privacy.